such as the aorta, compared to EC lining vessels under less shear stress. The physical properties of vimentin IF suggest that they are responsible for resistance to shear strain. Although rigid microfilaments are first to break or fluidize under high strain, vimentin IFs are a more resilient protein polymer with bimodal elastic properties such that vimentin IFs have a higher elasticity under conditions of low strain but become harder and more resistant under higher strains. 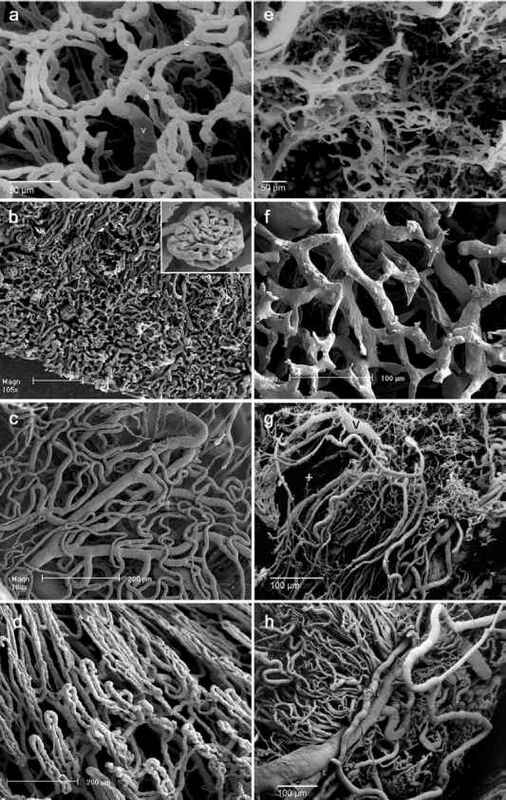 Presence of a flexible vimentin intermediate filament network is important for maintaining not only the structural integrity of individual cells but also the integrity of the endothelial cell monolayer lining the microvessel. Specifically, vimentin IFs are critical for maintaining the structural integrity of endothelial cells under shear stress, and may also be a conduit for signaling cascades triggered by mechanical force. Vimentin phosphorylation occurs rapidly in thrombin-or phorbol-stimulated endothelium; however, the role of vimentin in EC structure and resultant barrier function remains unclear. Although vimentin IF disassembly results in dramatic alteration of actin and microtubule filaments in cultured cells, fibroblasts derived from vimentin knockout mice displayed normal actin and microtubule architecture. While the vimentin knockout animals themselves developed normally without gross blood vessel abnormalities, absence of vimentin in walls of mesenteric arteries reduced vessel dilation in response to flow . Downstream responses to flow may be the result of intracellular mechanosignaling events triggered by deformation of the IF cytoskeleton. Adaptation of the EC vimentin IF network occurs in response to changes in flow. Vimentin IF networks display rapid directional displacement within minutes of initial exposure to unidirectional laminar flow. 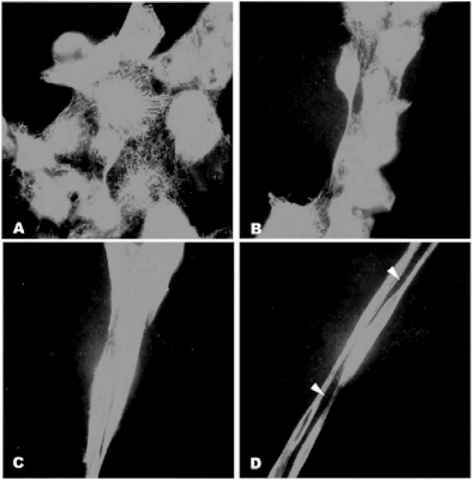 Over a period of hours, cytoskeletal filaments align themselves in the direction of flow. Primary IF network displacement due to the onset of laminar flow imposes a significantly larger change in the vimentin IF above the nucleus compared with displacement that is occurring in the cytosol closer to the substrate. These observed spatial changes may be a means of distribution of local shear force transmission throughout the cell and therefore convey cell signaling messages via a mechanosignaling pathway.